This Post has already been read 578 times. If you are craving to upgrade your lifestyle, then look no further for HUAWEI has opened pre-orders for HUAWEI Y7 Prime 2018. The hero of the HUAWEI Y Series 2018, it is the perfect companion for youngsters looking to have a fantastic lifestyle. The smartphone features 5.99” HUAWEI FullView Display in a stunning design. To top that off, it comes with a 13MP+2MP dual camera and EMUI 8.0-based Android 8.0 which delivers a superfast performance with 3GB of RAM and 32 GB of memory. 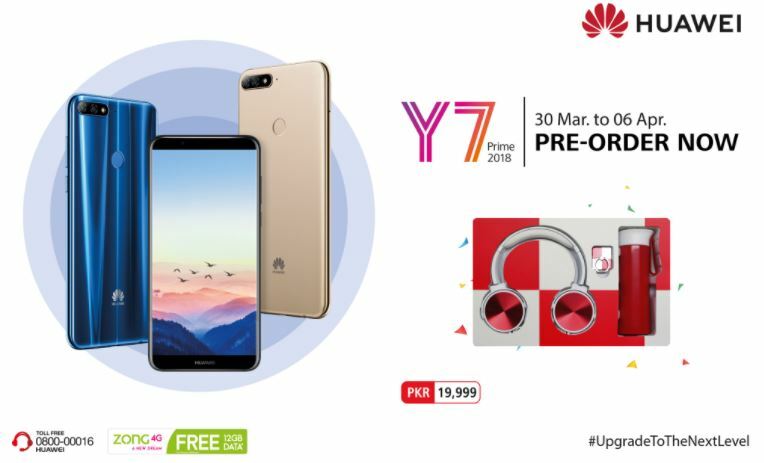 HUAWEI has already given a shoutout to all the youngsters to visit their nearest HUAWEI outlets and pre-book HUAWEI Y7 Prime 2018 that is started from March 30 and will remain active till April 06, 2018. They can get their hands on an exciting gift box featuring HUAWEI goodies. The smartphone comes in vibrant colours of Blue, Gold (available in certain regions) and Black.